What Is A Pet Allergy Remedy? Pet allergy control products are the perfect solution for anyone who wants to keep the favorite pet even if there is an asthma sufferer living at home. When you have a pet that you love, it can be difficult to separate yourself from your little friend. These products can help to asthma-proof your home so that an asthmatic can live safely. Asthma is a chronic inflammatory disease that is caused by genetic and environmental factors. Those with severe enough allergies can have what is called an asthma attack when exposed to pet dander. Based on statistics, cat allergies are twice as common as dog allergies. Although approximately 10 million Americans are allergic to these furry animals, many choose to keep their favorite pets at home. More pet owners are allergic to their favorite pet because of pet dander. Those who are allergic to pets are not actually allergic to their hair. It is their dander that causes the problem along with saliva and urine. The hair can collect this dander and other allergens such as pollen. Your relationship with your pet will depend on how severe your allergies are. If they are severe, then it is best to avoid contact with animals all together. Keeping your pet may require some household changes and purchasing of some pet allergy control products to help you along the way. There are pet allergy control products that may prevent the suffering that comes with an asthma attack. When an individual has allergies or asthma, it is very important to control pet dander by keeping the home and air clean with an air cleaner, allergen cleaning products, HEPA vacuum cleaners, and pet allergy control products. There are a number of items on the market to keep allergy symptoms from flaring up. Pet shampoos and topical treatments are available to remove dander and allergens. By removing the problem you have less of a chance of having an allergic or asthmatic reaction. This is only recommended if you have allergies that are not severe and you are able to handle the pet without a problem. Safe for pets – For obvious reasons, the safety of your pet is the number one concern when choosing a pet allergy product. If should be safe and made from natural products. 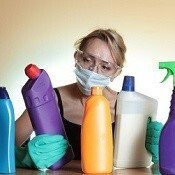 Even if it is man-made, is should be non-toxic to your family and pet. Neutralizes allergens – Most people experience allergy reactions when the immune system overreacts to the protein found in pet dander. The right product should neutralize this protein. 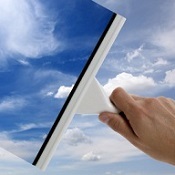 Even if an area is cleaned with a HEPA vacuum cleaner, the dander can linger and remain impossible to remove. Easy to use – Any product that is difficult to master will not be used often. For pets, it is better to have an easy to apply shampoo or no rinse formula that won’t bother pets. Most cats will not tolerate grooming for a long period of time. So it is best to have a product that works quickly. Removes dirt – Besides allergen, the product should remove surface dirt that clings to your furry pet. Its more efficient to have a product that can neutralize pet dander and deodorize your pet so it smells better too. 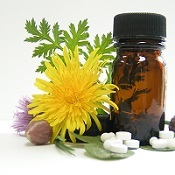 Some products can also repel ticks and fleas. Most of these products are all natural and are safe for you and your pet. Clean your house regularly. Dander clings to everything so bare floors and walls are best. 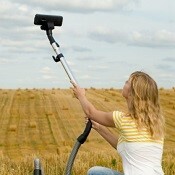 Brush pets outdoors to remove some of the dander that is trapped in the hair. 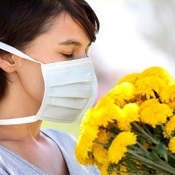 Adding an air purifier with a HEPA filter may also help with airborne allergens. Can Pet Allergy Control Products Help Your Breathing? These are our favorite picks of pet allergy control products that can prevent asthma attacks... but don't just take our word for it. Choose any product and read the features and customer reviews to find the right one to safely remove pet dander from your home.